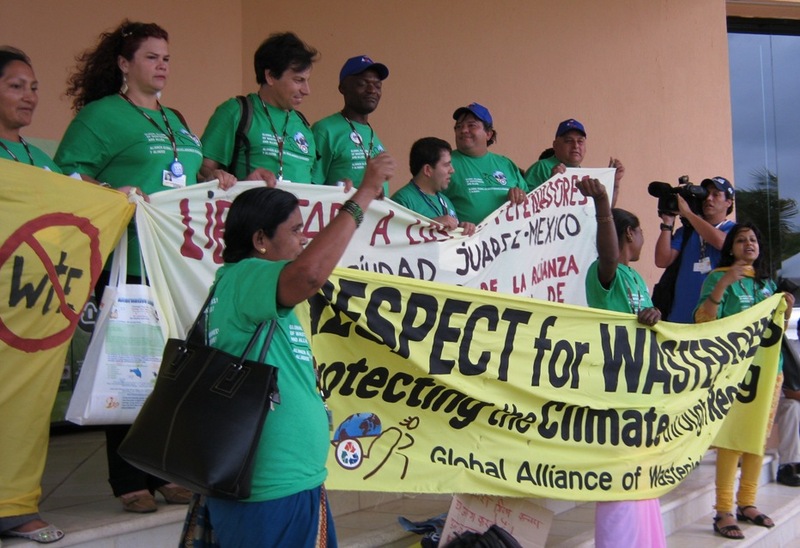 Waste Pickers and Climate Change | COP 16, Climate Change Conference, Recycling Waste: Global Alliance of Waste Pickers and Allies Recognize GAIA Day of Action: Call for Freedom of Jailed Mexican Waste Pickers. Global Alliance of Waste Pickers and Allies Recognize GAIA Day of Action: Call for Freedom of Jailed Mexican Waste Pickers. The Global Alliance of Wastepickers and Allies denounced the situation of 15 wastepickers (pepenadores) in México, who were arrested on November 25 in Ciudad Juarez after protesting a dumpsite closure that would leave 200 wastepicker families without livelihoods. They also protest a contract that was recently signed to close a major dumpsite in México City, named ‘Bordo Poniente,’ where now there are 1,500 families that live from the collection, sorting and recycling of waste. “How is it possible that we recycle here in Cancún and at the same time terrible things happen outside? For some, recycling here in México is treated as a crime,” said Eduardo Perez, grassroots recycler (clasificador) from Uruguay. "Zero Waste has significant climate benefits by conserving resources, saving energy, and cutting greenhouse gas emissions," said Mariel Villela, Climate Campaigner from GAIA (Global Anti-Incinerator Alliance/Global Alliance for Incineration Alternatives). “At the same time, zero waste creates jobs and strengthens economies.” GAIA comprises over 650 members from 92 countries, and cites toxic pollution, livelihood development, greenhouse gas emissions, and high costs of incineration among the reasons for shifting to zero waste approaches. 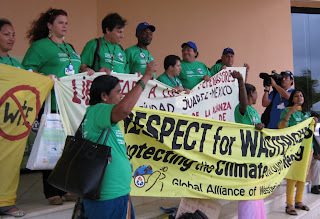 The Global Alliance of Wastepickers and Allies expressed hope that governments will create a Global Climate Fund with direct access for workers and communities, stop trashing the climate, and respect the work of wastepickers and their resource recovery projects.